Welcome to my website. 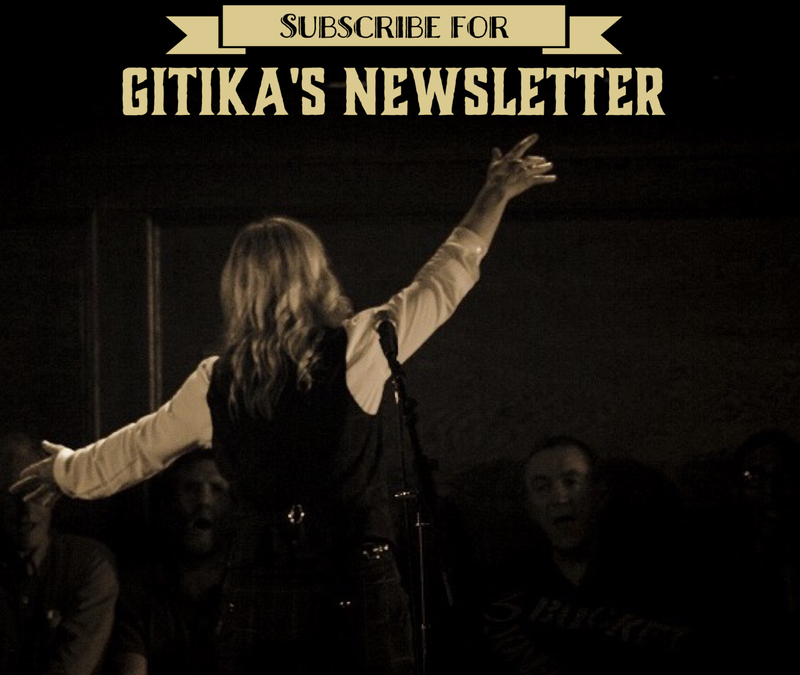 If you want to subscribe to my random time-scale newsletter here is the link to do that. Newsletter Subscription Link Above the Home title you will find different titles that you can click on. There are things about what I am doing and sharing with the world, including my blog, which in 2011, I posted every single day…now I just add things when I have a moment . To read old newsletters, click on the links below! There is a contact page if you need to get in touch. I’d like to find out how to book you to do a day’s workshop in Sarratt next year please. Hi Gitika, just wanted to say thanks for an amazing weekend at Hereford Harmony. I thought you were awsome! thanks so much..it was a great day. Just bumped into funky mouse and aardvark on youtube. Absolutely fantastic. My 6 and 8 year old boys think that you guys rock! The 4 year old is dancing and grooving to the chill beats as I type. Thanks for posting these, brings a smile to my day here in Tokyo. I’m looking for an SATB version of Harvest for the World, and saw on Youtube that you’ve done one – and it sounds gorgeous. Is it available to buy? it is in SING POP A ACAPELLA published by NOVELLO…. We are looking for a new Musical Director. 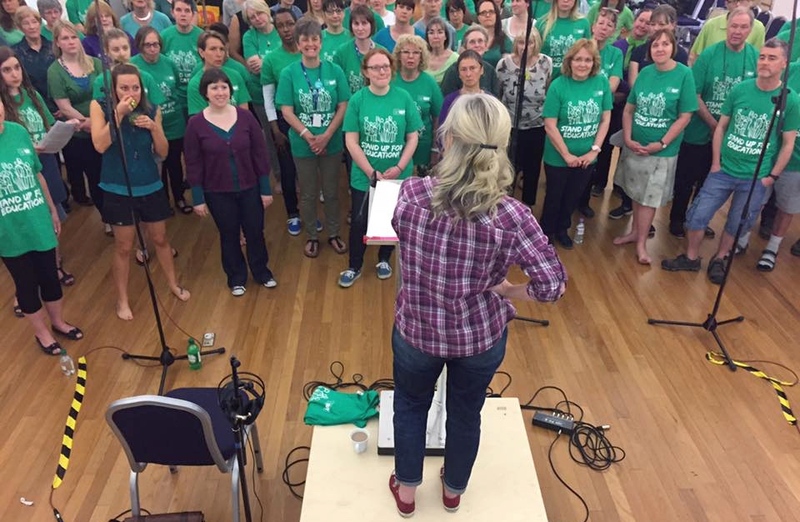 Boundsgreencommunitychoir.org. I am no sure how to get in touch with you to see if you would be interested or knew anyone who might be interested.All looks so good on your website. Happy New year …sorry cannot commit myself, happy to come and do one offs and am wracking my brain for you. Take care. I’ll have a slice of your cake please! They really bring back the memories, don’t they? oh they do..thanks. some of them I had not seen before. I see that you were in Southampton last year – will you be coming back and who organised it? I live in Winchester and would love to do one of your days. They are at the moment arranging another in June 2012…watch this space. I really enjoyed the Dublin workshop. I’m the one who was shy about singing in public. Yesterday I was walking on my local beach and I heard an Italian woman singing to her toddler. I recognized the song and sang the next line of the song to her as I passed. That and my dip in the Irish Sea left me on a high all day. Great to see you again at Croydon Hall with Earthly Voices. What a weekend that was – oh an by the way, Ali gave birtth to their second daughter on Tuesday 13th March! All that late night groovin’ in Somerset must have helped! Looking out for any sessions that you do – like the the one at the Festival Hall – a couple years ago. Have just discovered your blog while googling for clog makers in Hindley. A very interesting and amusing read. My ancestors were cloggers in the area. My mum also was in a sanitorium for most of her childhood through TB in the hip, She lived in Atherton/Tyldesley area and was sent away to i think Biddulph Grange(? ), i think it was taken over by the americans as a hospital during the war years while she was there. We eventually lived in Blackpool and my step-grandad used to go to the miners home for short stays. Funny, i’ve lived in Oz for 20 yrs and whenever I am asked for where I come from the reaction to my reply is nearly always a rendition of Little stick of Blackppol Rock. my dad was definately at biddulph grange…a few year we went there and had tea in the room that used to be the operating surgery. WHat a small world it is. mum was there around 1940 ish I think and she was there for a few years, her parents hardly visited her. Must have been hard for a small child in a strange place. Sir Harry Platt operated on her and replaced the diseased part of her hip with a pigs bone, an experimental operation at the time. Biddulph Grange was featured on an Australian gardening programme a few years ago (Burkes Backyard) and I didn’t twig until later that it was the same place mum was in.